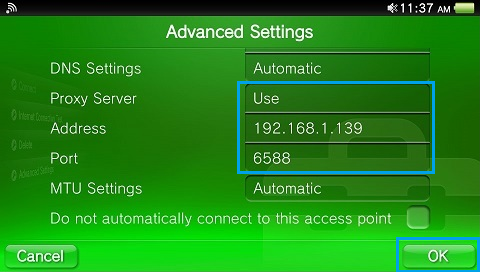 Since the Sony PS Vita doesn’t support VPN natively, you will need to set the VPN on a router or a computer and then share the connection to the device. 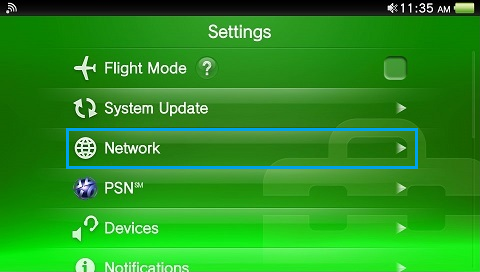 The steps below will guide you on how to set up a proxy connection on your Playstation Vita console to gain access to the VPN network. Make sure your device is connected to the internet and in the same network as the computer that you set the proxy server on. If you haven’t set up a proxy server, please refer to our instructions here. 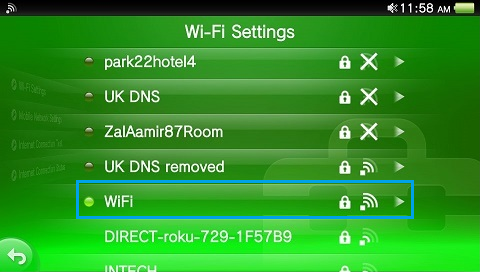 Select and connect to your wireless network. 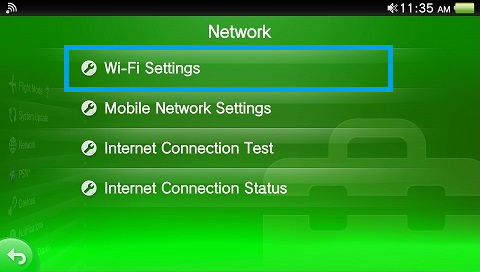 Once the connection has been established, tap on the Access Point you’re connected to and tap on Advanced Settings. Scroll down until you see Proxy Server. Address : IP address of your computer that you set as the Proxy server. Port : The port of the proxy server. 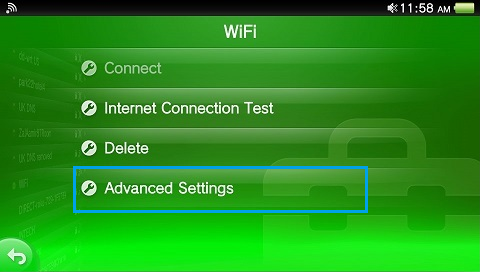 If the connection is successful, the PS Vita will be connected to the access point. 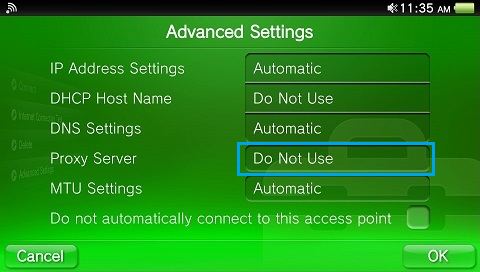 Please note that as you have told the PS Vita to use the proxy service on your computer, if the computer is not switched on, or if the proxy service is not running, the PS Vita will not be able to connect to the web.